What does that mean? I was having a hard time to translate the sentence. When you look up kyo and jitsu in a dictionary, you probably get “false and truth”. We do use kyo and jitsu like that. But in kendo we use kyo and jitsu in a slightly different way. Here is a brief explanation of kyo and jitsu in kendo: Kyo is “absence of mind”. Jitsu is “presence of mind”. 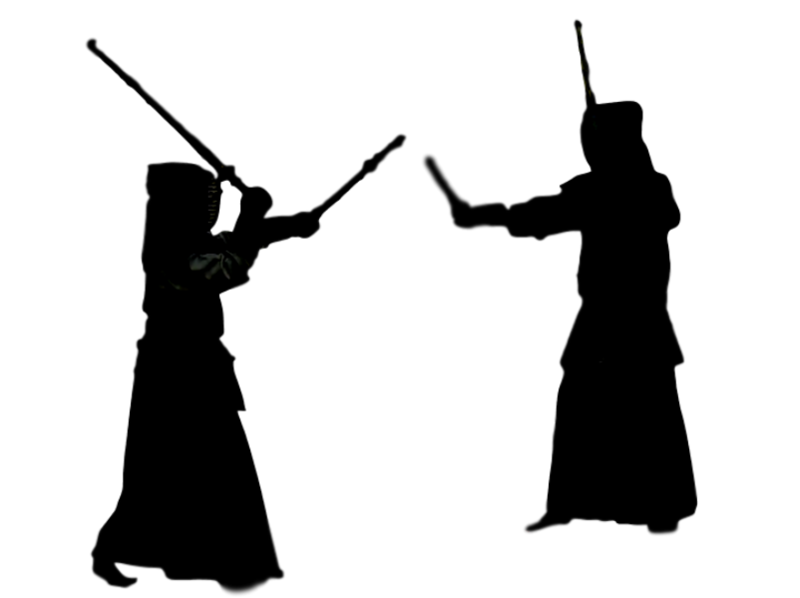 Detailed explanation is found here at Kendo Terminology: Kyo and Jitsu. Now let’s dig it more deeply. I heard the sentence, “Use shōtō as jitsu and daitō as kyo” when I was interpreting at the nitō seminar held in Idaho this year (2017). And some weeks later I came up with better translations of the terms. Do you know what Jōkyo-Kajitsu means? It means “your upper body should be relaxed and your lower body should be ready to move”. When you do kendo, you try to relax your shoulders, arms and hands, correct? And use your footwork and lower body to strike, right? That is to achieve the state of Jōkyo-Kajitsu physically. Here is another example of Jōkyo-Kajitsu. When you perform mokusō, you try to breathe through your lower abdominals not the chest. You push the air down to seika-tanden, the area between the belly button and the bottom of the pelvis. Keep the chest (the upper part of the torso) relax (no air) and the seika-tanden (the lower part of the torso) filled up with the air. From these examples, we can say kyo is “relax” or inactivated and jitsu is “filled” or activated. And let me come back to the statement of “Use shōtō as jitsu and daitō as kyo”. You activate shōtō (jitsu) so your opponent is distracted by or pays attention to your shōtō and he/she won’t pay attention to your daitō (kyo). This is the moment to switch the states of the shōtō and daitō. Now your daitō becomes jitsu and your shōtō becomes kyo. But your opponent has not paid attention to your daitō so it is too late for them to avoid your cut with daitō. How to Create Kyo and Jitsu with Ittō? We can use this concept in one sword or ittō too. How do we do that? There is a saying in kendo, “ue wo semete shita wo utsu. Shita wo semete ue wo utsu”. This is one of the basic rules of seme. 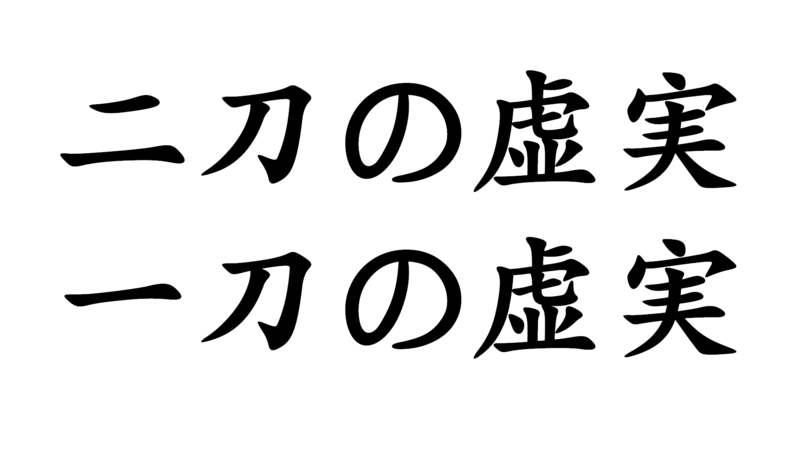 It means “Execute your seme toward the upper body of your opponent but strike the lower part of the body. Execute your seme toward the lower body of your opponent but strike the upper part of the body”. The effective seme is to distract your opponent and because of this you can create four sicknesses or shikai in your opponent’s mind. For example, you intentionally show that you are going for your opponent’s men. Your opponent senses your intention (which is false information), so his/her shinai will come up to get ready to block or be ready to execute a counterattack. And you put more pressure on his/her men. Then your opponent’s kote will be wide open. This is an example of “seme on the upper body (men) and strike the lower part of the body (kote)”. You can execute seme on kote but you strike men. This is an example of executing seme on the lower part of the body but striking the upper part of the body. Which one is the state of kyo and the state of jitsu? When you shift your opponent’s attention to his/her men, for example, their mind is now paying attention to their men (jitsu). Their attention is away from the lower part of their body, i.e. kote or dō. This is the state of kyo. The states of kyo and jitsu in kendo are always switching. It is important for us to keep ourselves in the state of jitsu physically and mentally. And creating the state of kyo in our opponent’s mind by showing kyo and jitsu in our seme is the key to defeat our opponent. If you know how things work, your training will be more fun. Try this and tell us how it went in the comment area.